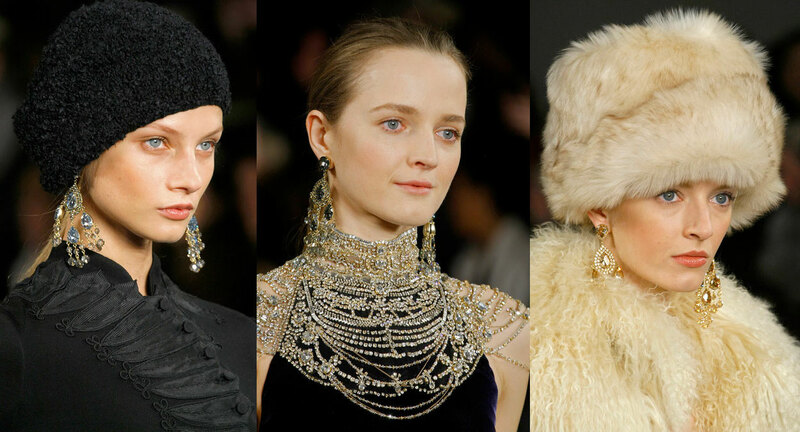 Imperial Russia is the muse for many a Fall fashion collection this year. She tells a story of grandeur, in which wealth was expressed materially, and privy only to those close to the Tsar. 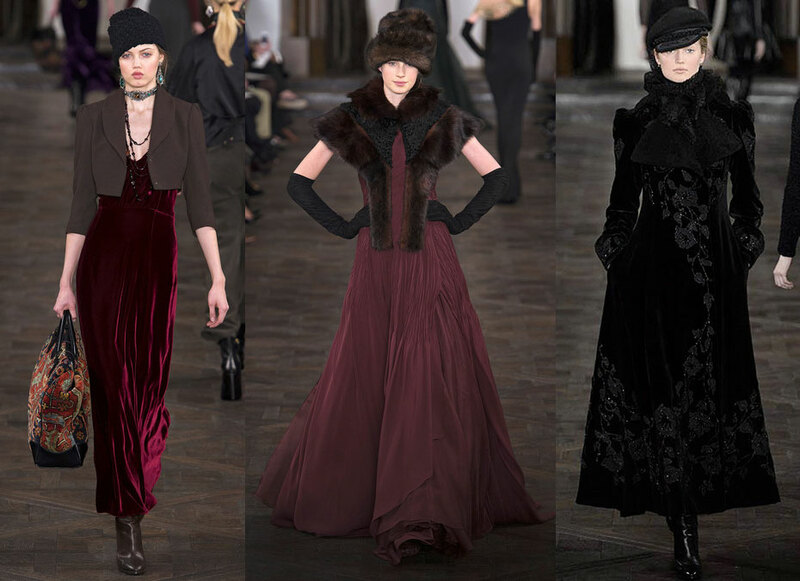 In conjuring up the rich cultural narrative that is interwoven throughout the Eastern European heritage, European designers have utilized velvet and fur to bring to life garments they read about in Tolstoy’s novels. A fusion of cold climate and distinguished culture bears as many layers to it as the outfitting of its people. Jackets, hats and gloves play an important role in adding glamour and nostalgia. Chandelier earrings are common adornments on the Imperial image. These ensembles also display some remarkably bohemian undertones, with notes both romantic and flowing, as seen at Ralph Lauren. The aesthetic of a classic equestrian icon has been revamped here. Imperial Russia also translates in formalwear. Floor-length silhouettes bode well due to this subject’s old-time nature, and elegant, jewel tones serve to expose the royalty underlying the clothes. Zang Toi definitely nails it in the color of the season, emerald, with a royally draped back. Toi, a Malaysian couturier, received praised for his designs at New York Fashion Week. His ideas for this Fall’s collection came to fruition during his travels in St. Petersburg. Toi’s works are hand-made in his New York atelier. The details on Toi’s pieces are given extra attention throughout their manual construction. He hones his craftsmanship in on an ornate, two-piece garment with fur trim, and a regal creation is born. The visual elements of such a vast past inspire each designer differently. However, cultural references alluding to Russia are clearly seen this Fall across many collections; and Russia should be noted for her important influence on global fashion.